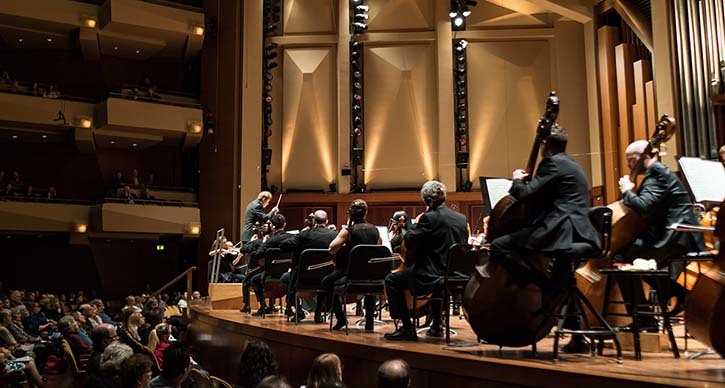 To support Federal government employees and their families, the Seattle Symphony is offering complimentary tickets for remaining concerts through June 2019. The Seattle Symphony announced today that furloughed federal government employees are eligible to receive up to four complimentary tickets for Seattle Symphony performances for the remainder of the 2018–2019 season. Subject to availability, concerts on the following series are included: Delta Air Lines Masterworks Season, Seattle Pops series, Untuxed series, [untitled] series, Baroque & Wine series, In Recital series, Chamber series, Fluke/Gabelein Organ Recitals, Family Concerts and Tiny Tots Concerts. Tickets must be reserved by February 1 in person or by calling the Ticket Office and a government-issued ID is required upon pick up.